All you DROID3 owners can sit back and start getting excited. 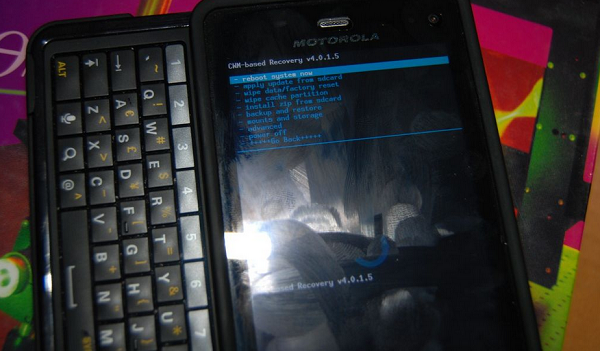 ClockworkMod Recovery has just been booted up onto the DROID3 thanks to the work of Hashcode, and we are now awaiting instructions for flashing. ClockworkMod will help users create full nandroid backups of their devices, flash custom ROMs, and a gang of other excellent features. Stay tuned, we will have full instructions on how to boot it up as soon as they are posted. Update: We are hearing that it will be an app similar to the bootstrap apps we have seen in the past.